After a few years of minimal Christmas decorating, my daughter asked me, "Can we please have Christmas this year?" At first I was a little speechless, but then I realized she had a point. She loves the decorations and over the last couple of years we have been traveling and trying to sell our home, and other than the tree and stockings, I had not really decorated. Well, this year we are settled into our new home, and I am looking to add some sparkle and style to this years decor. With the help of the Kmart Holiday Collection, I have found quite a few things that will make me happy and hopefully fulfill my daughters wishes too! I did, however, put my foot down about one element of the decorating...the mantle is all mine...and both kiddos agreed to that. I had an idea of what I wanted to do, but I did feel that we needed to add some new some elements to our existing decorations...so I started shopping the Kmart Holiday Collection to find those perfect pieces. 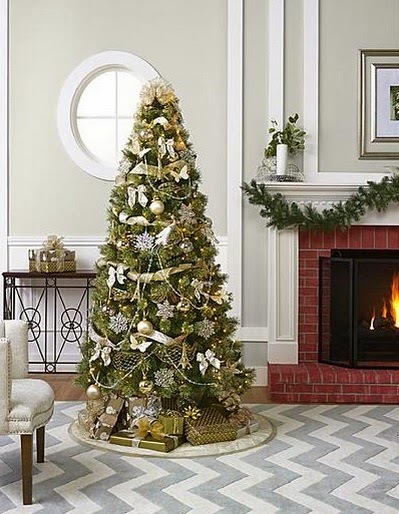 Kmart has everything you need to deck you own halls, mantel or tree - from sparkly and girly to nature inspired to licensed characters to traditional to modern. 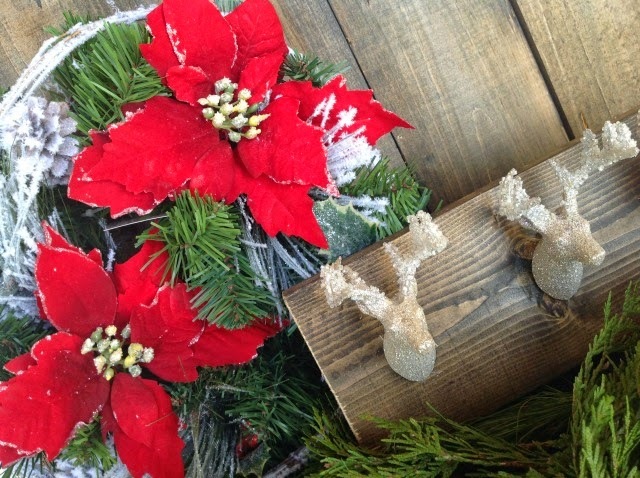 You are bound to find one or twenty new items to add to your holiday decor! Whether you are just beginning your decorating or looking to switch it up this year, Kmart has complete looks and great individual pieces that make decorating so easy! 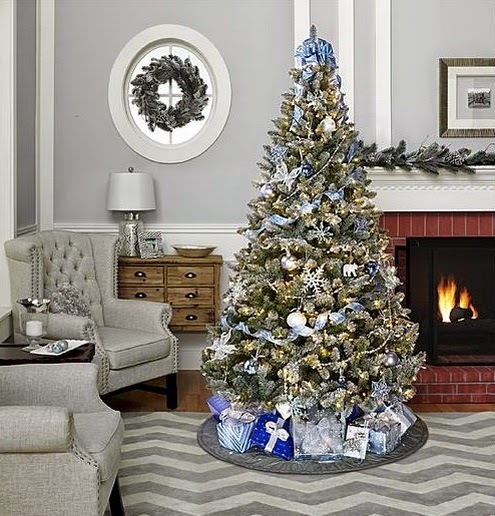 Complete Tree Trim Kits pull together complimentary colors and designs. Once you have your decor established, adding small elements throughout your home will pull your look together. My style is a mix of rustic with some sparkly, eclectic items added in for some unexpected flavor. I made a few things, but something was missing...I had a ton of ideas and was totally inspired to add some great items to my mantel decor. Now I am only giving you a sneak peek...but here are a few of the things that i fell in LOVE with! BUT, I live in Texas Hill Country now and it is all about the deer! 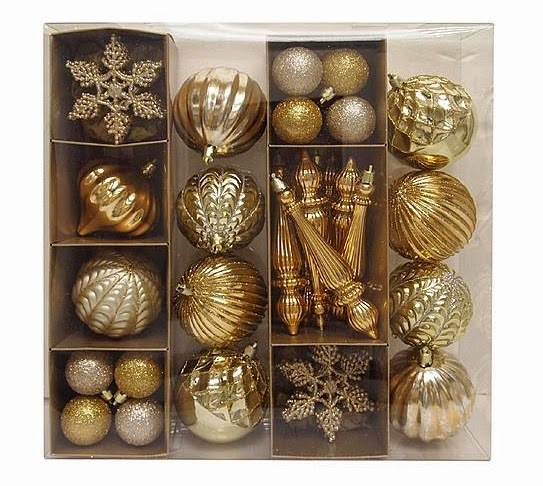 Sandra Lee Gilded Gatherings Shatterproof Ornaments, 50 count. 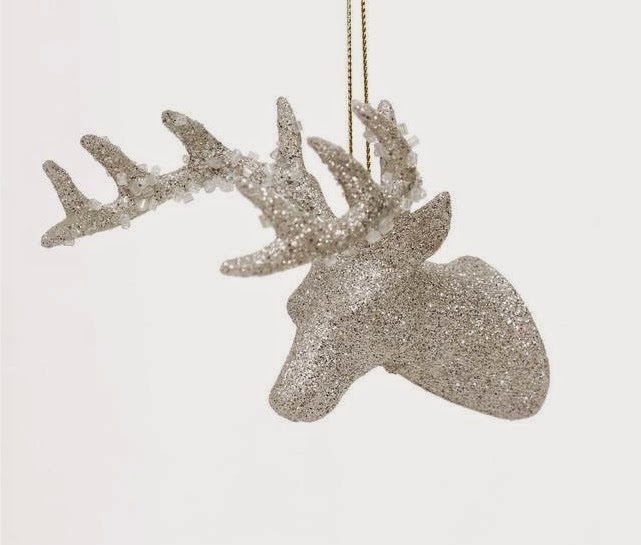 Add these to the tree, the mantle, fills crystal bowls - such a versatile selection! Every year I buy an abundance of snowflake ornaments - they are the perfect addition to the tree - no matter which ornaments are on it. 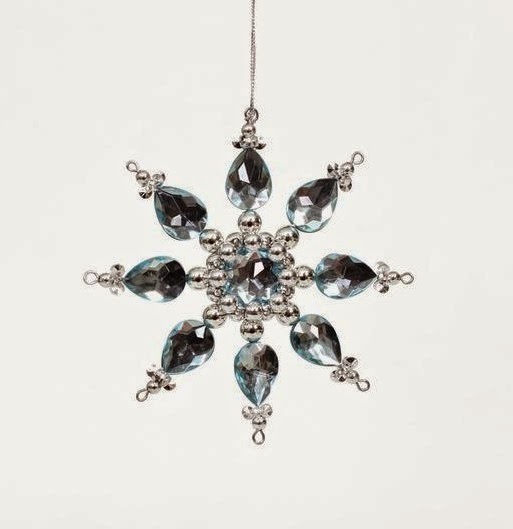 Love these Jaclyn Smith Midnight Clear Jeweled Snowflakes. Now that you have heard a little bit about what inspires my decorating...tell me about what inspires you...and better yet...head over to Kmart and enter the Best Dressed Home Sweepstakes. Its easy to do! Between now and December 26th visit and upload a photo of your home all decorated and styled for the holidays! 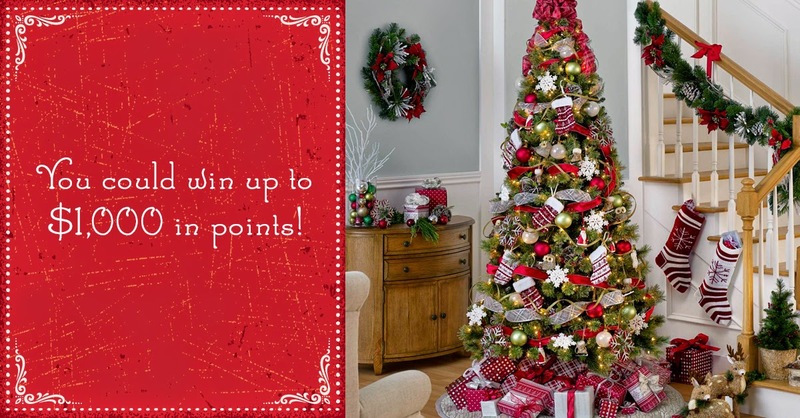 60 winners will win $50 in Shop Your Way Points and one winner will win 1,000,000 Shop Your Way Points! (yep, it sounds strange but it will all make sense!). How do you like to decorate? What lovely ideas and I adore those deer!!! 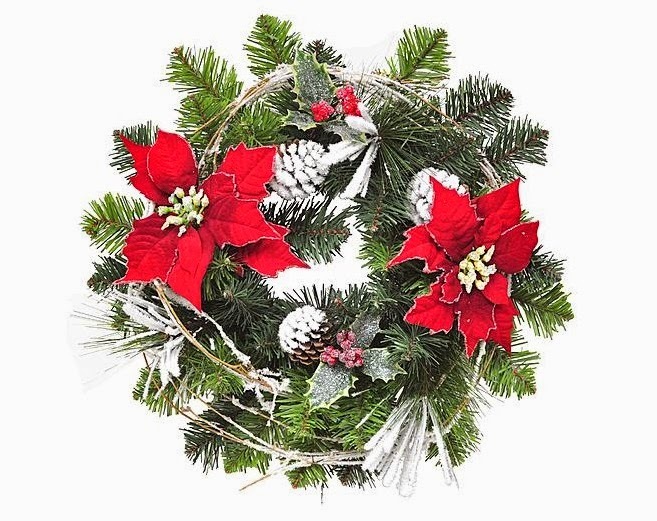 The poinsettia pine wreath is a fave of mine, too - I love the red of poinsettias at Christmas time, so beautiful. 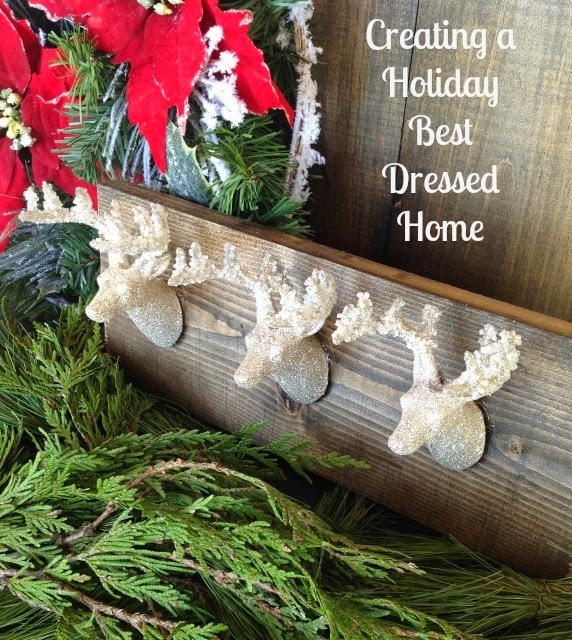 I love the repurposing of the deer ornaments onto the wood! That is definitely 'Rustic Glam' and I LOVE IT! 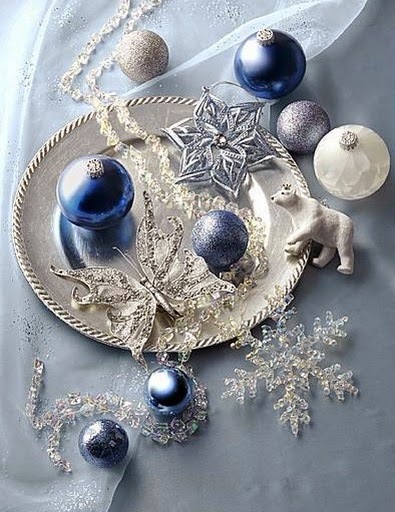 Great ideas for holiday decorating, thanks for sharing and have a great day! Well, That's it! 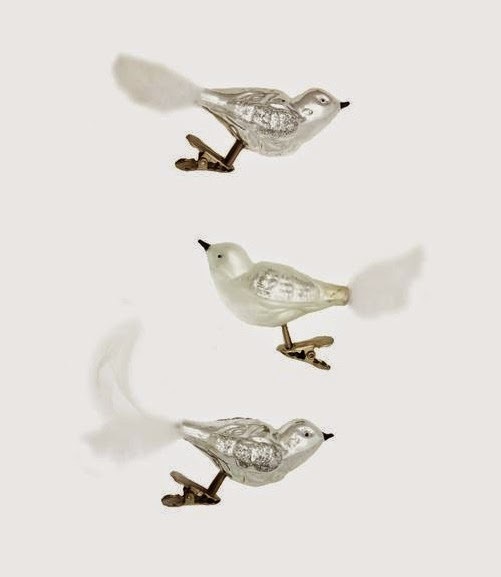 I'm off to Kmart to get those little silver glass ornaments and definitely the snowlake! I love it! This will go perfectly on my tree this year! 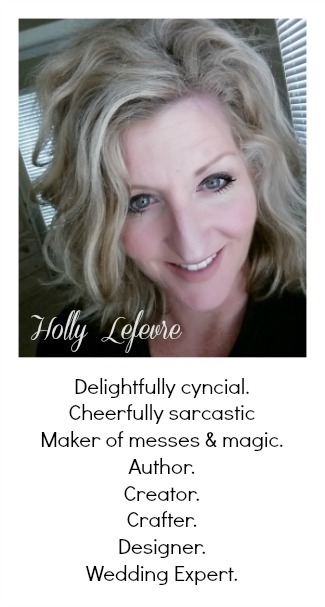 Thank you so much, Holly for doing this post. I think kids & parents always disagree about trees. It's so funny, because, now, I always get the same kind of tree my mother always wanted us to have, that I never knew I wanted. Merry Christmas, Holly! Holly, I so enjoyed all this amazing ideas. I love the deers as well. Oh, complete tree trim kits! What a great gift idea for my newly married niece. Thanks! Those poinsettia decorations with the deer heads are beautiful! Looking forward to seeing your first Texas Christmas, Holly! 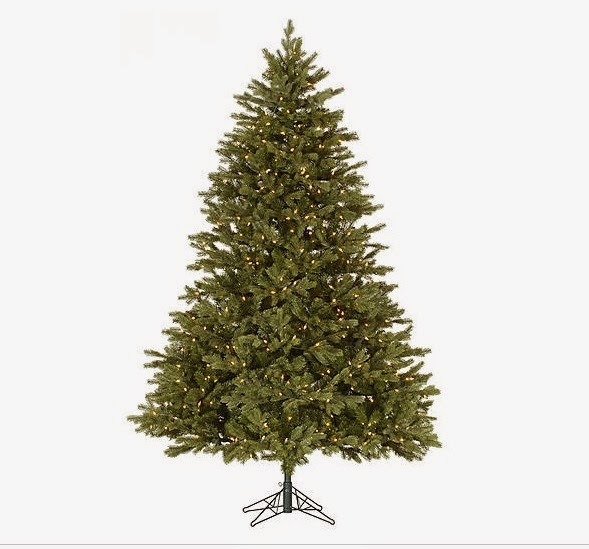 We actually purchased our artificial tree from Kmart in 2005. Still going strong! LOL. We are right down the road in College Station. Enjoy your first Texas Christmas! How fun! I love all the inspiration - and those little clip bird ornaments are too awesome! I'm going to have to pick those up! Happy Christmas - I hope you are loving your new adventure! I've got to go get some of those deer. Hope they haven't sold out. Thank you for sharing these great ideas. I can totally relate about the tree thing. I'd love to have a "grown-up" tree, but I, too, have so many memories of decorating the tree with my family that I just HAVE to share with the kids! We had our house for sale last Christmas and I barely decorated. This year I was ready to roll but could not find half of my stuff! Arrgh! Oh well, guess I'll just have to go out and buy some more! Thanks for the inspiration.